Melorra Sale: A user can buy Stylish Real Gold Earrings Starting At Rs.10000 at Melorra. There is no need to apply any Deal Code to get this offer. 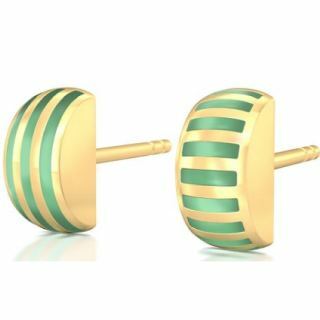 Shop for Pinstriped Green Gold Stud Earring, Fleet of Petite Diamond Stud Earring, Gold Glitters Gold Stud Earring, Mademoiselle Gold Stud Earring, Clashing beats Gemstone Stud Earring, Simplistic Grace Gold Stud Earring and much more. Offer is valid for the limited period so Shop now.